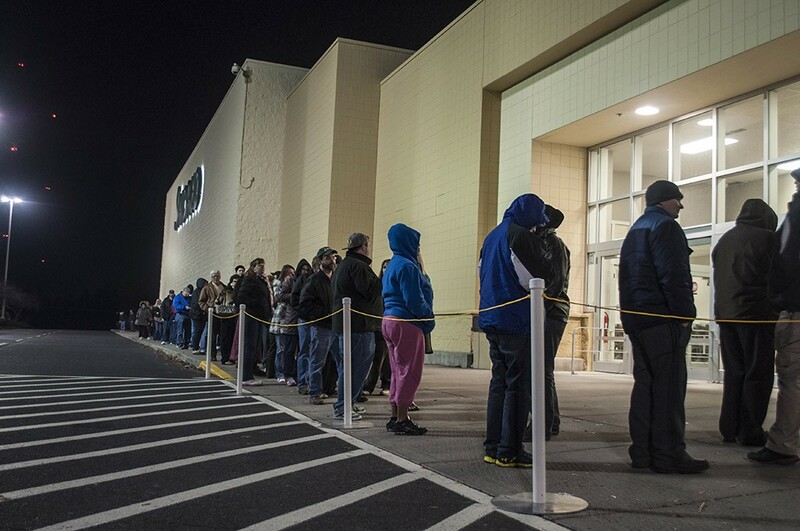 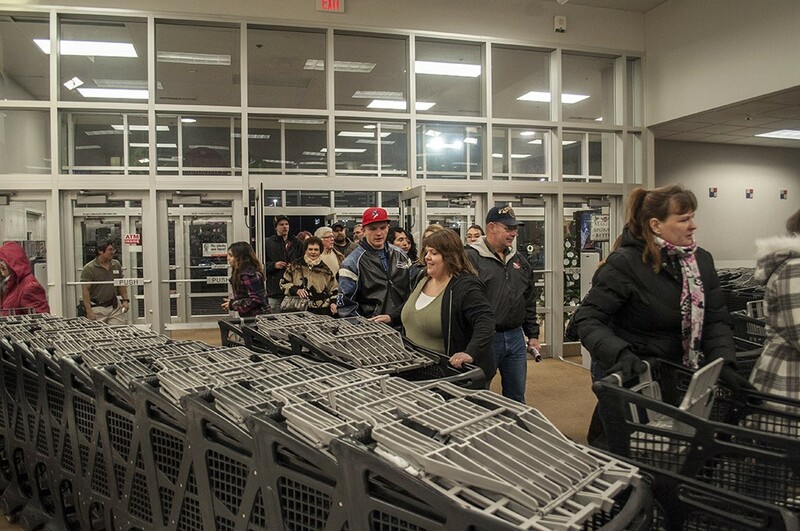 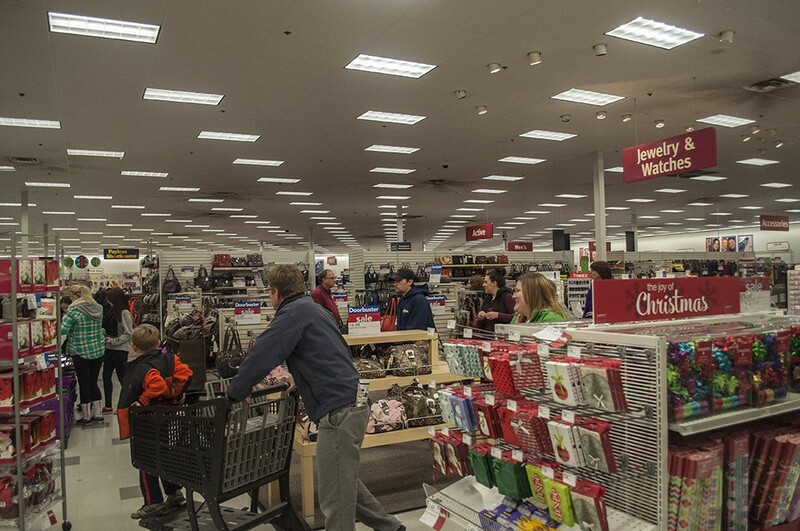 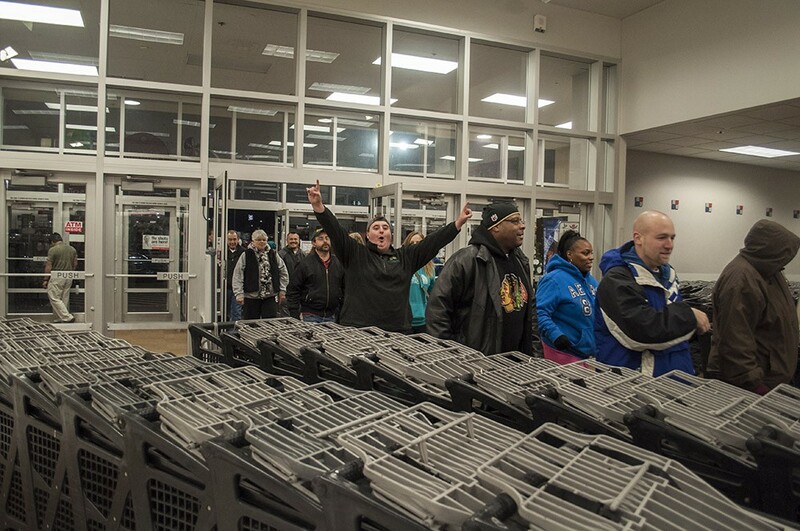 Around 7:30 pm on Thanksgiving, people began to line up outside of the South Hill Shopko for the Black Friday sales. 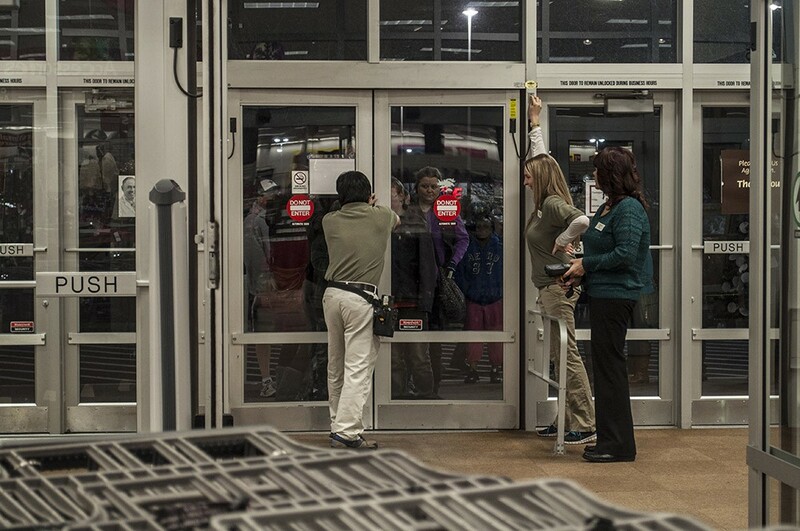 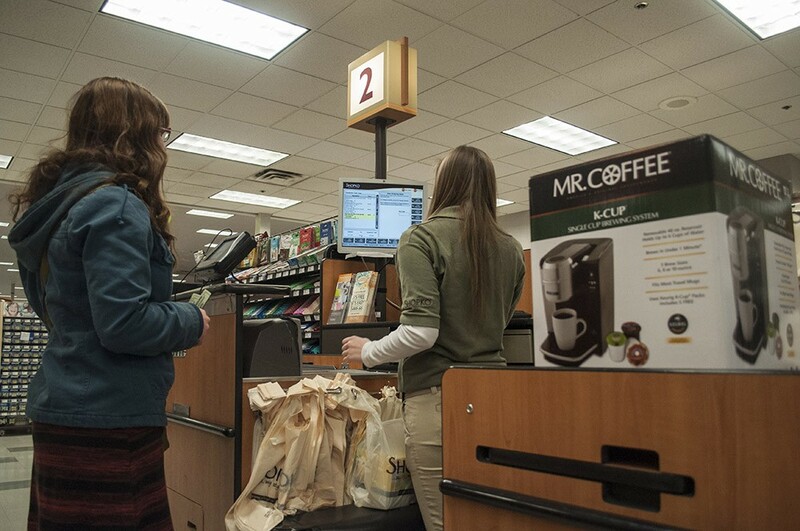 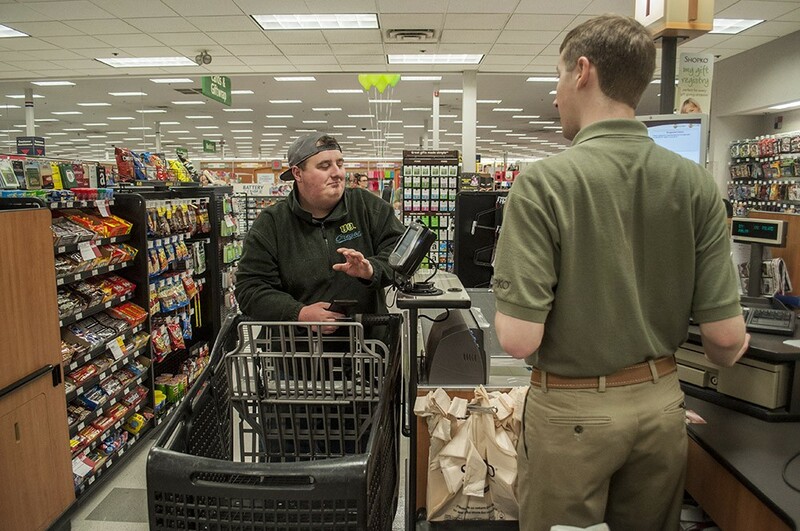 At 7:57 pm, employees got into position and prepared to open the doors. 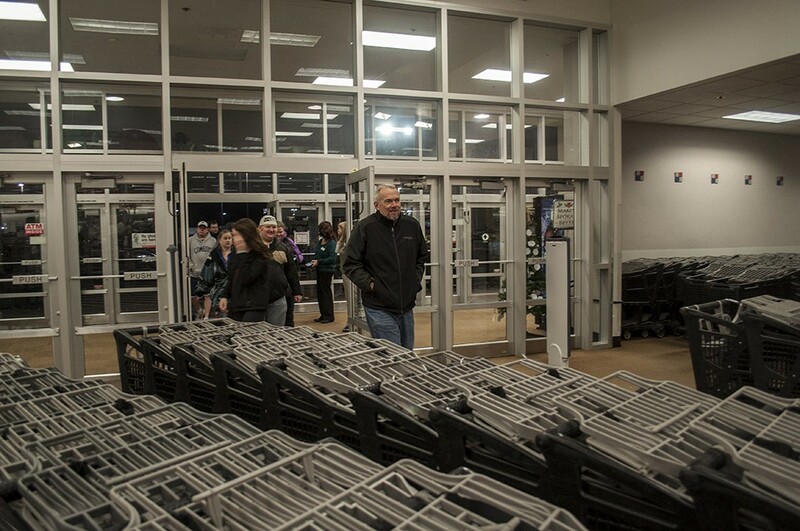 As the clock struck 8 pm, people rushed in. 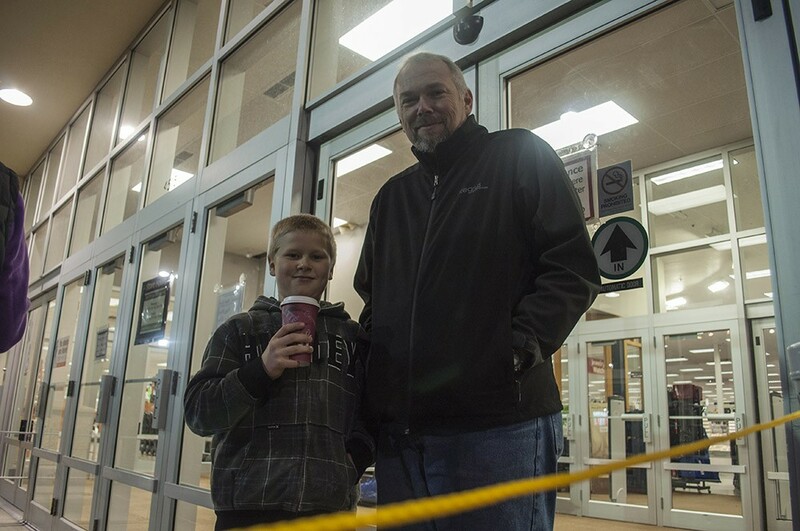 Mackay Graper, left, 11, and Robert Graper had lined up outside of the South Hill Shopko at 6:30 pm to be the first customers inside the store. 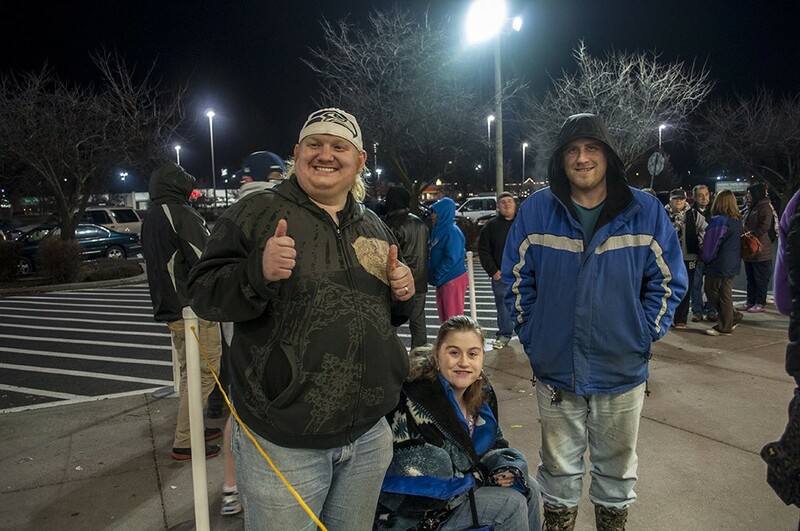 Howard Banks, left, Tina Banks, center, and David Whisenhunt, right. 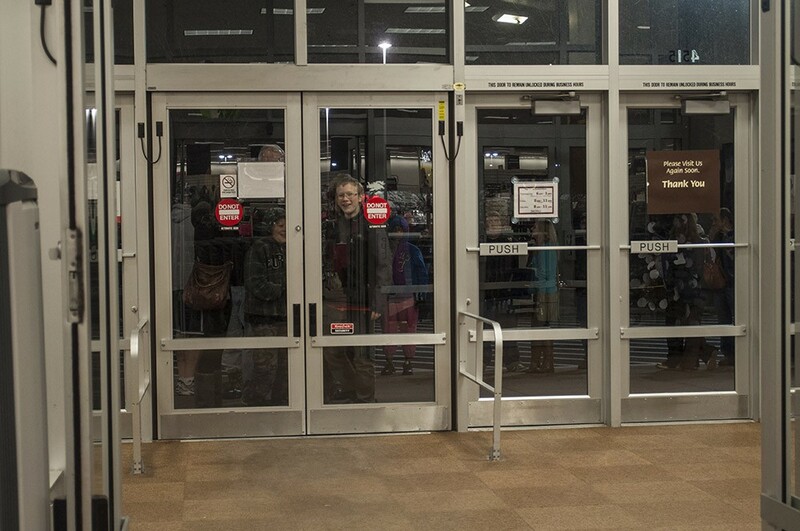 Nathan Burford, left, unlocks the doors as Kelsey Key, center, and Rose Jordan stand ready. 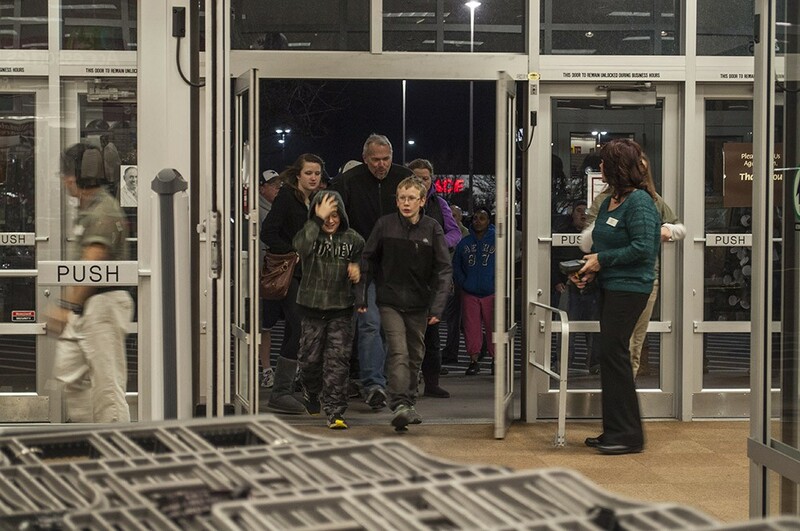 Mackay Graper, left, 11, and Payton Graper, right, 13, were the first two people in the store.